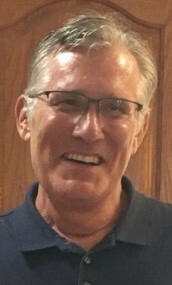 GARY LOWELL REED, age 63, passed away peacefully surrounded by his wife and children on March 26, 2019. Beloved husband of Catherine (nee Cuiksa); devoted father of Forrest John and Hannah. He filled them with a lifetime of unconditional love. Loving son of Forrest A. and Rita (nee Elfing, deceased); cherished brother of Gregory (Brenda), Timothy (Lisa) and F. Thomas (Julie); brother-in-law of John (Marjorie, deceased), Jack (Marilyn) and Chet (Mary) Cuiksa; beloved uncle, cousin and friend to many. Gary was a graduate of Ashland University and Baldwin Wallace College and a proud member of Pi-Alpha Chapter of Tau Kappa Epsilon. He worked as an accountant for the Defense Finance and Accounting Service in Cleveland, OH for 27 years. His exuberant love of life was unforgettable and contagious and he will be missed immensely. Friends may call from 3-8 PM WEDNESDAY, APRIL 3, 2019 at GOLUBSKI FUNERAL HOME, 5986 RIDGE RD., PARMA. Celebration of Life services 11 a.m. Thursday, April 4, 2019 at Cuyahoga Valley Church (5055 East Wallings Rd., Broadview Hts., OH 44147). Memorial contributions may be made to COTS (Care On The Square), in care of Cuyahoga Valley Church.